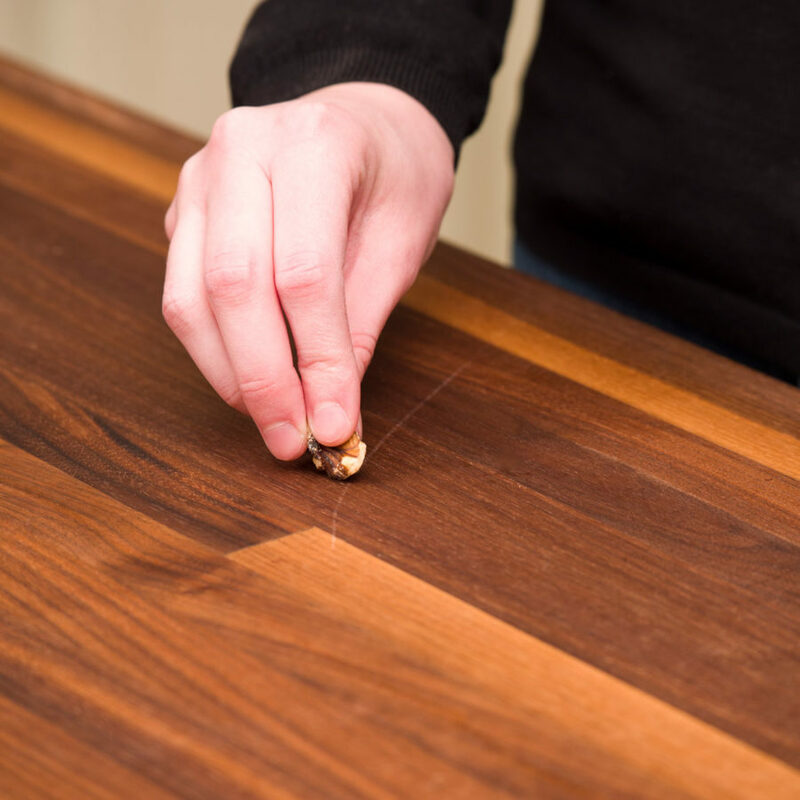 Try rubbing a piece of raw walnut on a light but visible scrape on the surface of a wood furnishing product to provide a temporary natural lustre. Keep track of your chosen colours by writing the paint source and code on the handle of the stir stick before tossing empty paint cans. Clean a scorched plan by filling with boiling water to the mid-point, mixing in a few teaspoons of baking soda and allowing to cool before scrubbing. Measure servings of cookie dough easily by coating your spoon with a layer of milk to prevent the raw dough from sticking. Remove coffee stains from most synthetic upholstery and carpeting by repeatedly sponging the area with a clean white cloth soaked in a mixture of mild dish detergent and water, then dabbing with a clean white cloth rinsed in cold water.